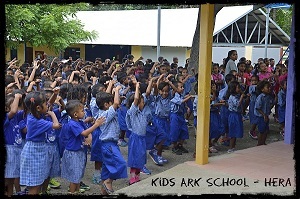 Kids Ark has established two preschools and one primary school in Hera catering for 400 children up to Grade Six. Kindergarten to Grade nine high school. Kids Ark at Hera provides a full range of disability services for families in the Hera district, with a disability Centre called "Liman Hamutuk" which means "holding hands together". Kids Ark also run a medical clinic in the nearby village of Sidara. The Sidara medical services and birthing clinic provides pre and post natal care and healthcare. The recently finished Lebutum clinic, in the mountains of Metinaro, will provide much needed healthcare to this remote village. Casa Vida cares for girls who are victims of physical and sexual abuse with long term care. 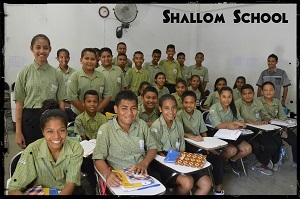 Projeto Montanha in Aileu district provides dental health, nutritional education and after school programs. Learn more about our Project Partners here.